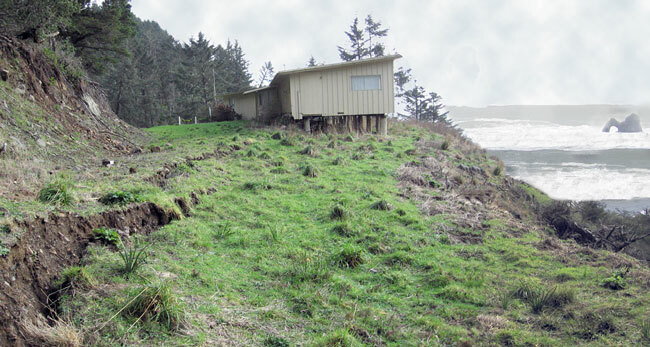 Terra Firma Geologic Services was established in 1991 and provides a full range of engineering geologic services in Southwest Oregon and Northwest California. The company is owned and operated by Ron Sonnevil, Certified Engineering Geologist in Oregon and Registered Geologist in California assisted by Staff Geologist, Erin Minster. Associates in Oregon and California are available for larger or multi-disciplinary projects requiring input from engineers, architects and other professionals such as botanists, foresters, wetlands and aquatic habitat specialists. Our capabilites are varied. The real estate and construction markets have been the focus of our work for the last 15 years. However, we also do groundwater investigations, evaluate impacts of timber harvest on hillslope stability and conduct other resources management related projects. GIS is an important tool for our larger projects involving tens to hundreds of acres and we work in ArcGIS and TNTmips platforms. Most projects that are specific to individual homesites require site-specific maps based on ground surveys that we do or are acquired from a land surveyor. This Web Site is Under Construction. Please return often to see our updates.